On Dec. 30, the first Suning Jiwu store opened in Hangzhou. Located on the first store of Suning Shopping Mall on the Jiade Square, Suning Qingchun Store covers an area of 600 square meters and the overall store is decorated in burlywood. The store is divided into seven categories of exhibition areas including daily use, travel office, popular online celebrity and nearly 2,000 SKUs. The relevant person in charge revealed that ten stores will land in Hangzhou next year. And the second and third stores will begin to appear in Hangzhou. 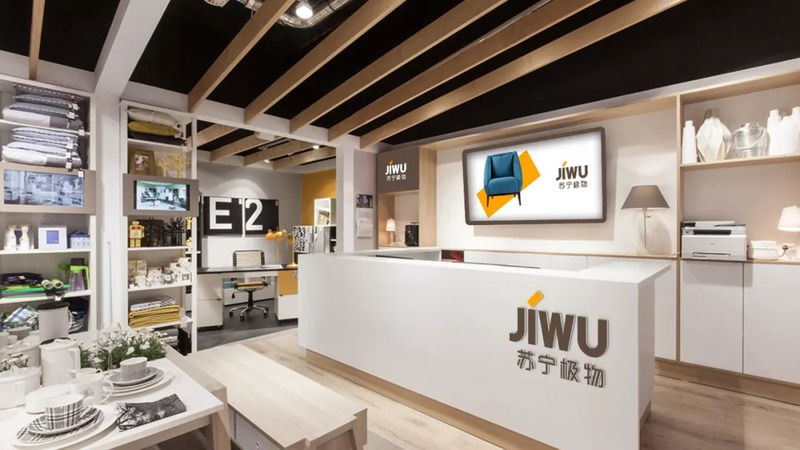 Suning Jiwu is a new type of smart retail launched by Suning, featuring high design, high quality and high cost effectiveness. It mainly aims at consumers born in the post-80s and post-90s who focus on the quality of products and a sense of design. Since the first offline store opened in Nanjing in March, ten Suning Jiwu stores have opened nationwide. The post-80s and post-90s have gradually become main consumer groups who pursue household products through careful and strict selection. Three bands of YANXUAN, Taobao Xinxuan and Suning Jiwu have been launched by Internet giants Alibaba, JD and MI. In Apr. 2017, the first Taobao Xinxuan store landed in Hangzhou, covering an area of more than 300 square meters. Its products contain from kitchen utensils, storage, bedding sets, cleaning products to luggage, stationery, gifts and so on. At present, eight Taobao Xinxuan stores have opened. In Dec. 2018, the first offline store of YANXUAN opened in Hangzhou with more than 1,000 SKUs held in space of over 300 square meters, including clothing, shoes, bags, household products, tableware, electrical appliances, cosmetics, snacks, toiletries, etc., as well as NIT and TryFun series. Easyhome hand in Suning to Sell Home Furniture and Home Appliance Together?